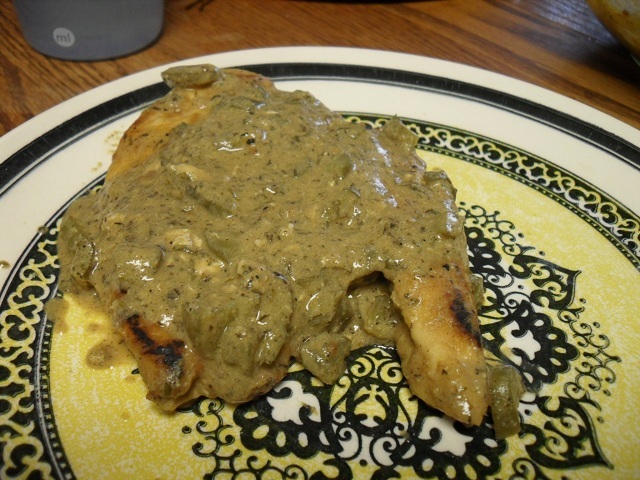 So tonight I tried a new recipe that I found in this month's issue of Food Network Magazine - Chicken with Pickle Sauce. If you click on the link, you will see a lovely white cream sauce on a pristine chicken breast. Mine did not look anything like that. At all. The real important thing, though, is taste - and it tasted pretty good if I do say so myself. It was weird, but good. A lot more pickley than I was expecting. And saltier too. But still good. Ummm, well.... as long as it tasted good. Good job! !